My guest this month is novelist Clare Kane. She was born in Scotland but has lived most of her life elsewhere. After studying Chinese at Oxford and working as a Reuters journalist in Madrid, she is currently living in Shanghai, where she works in marketing for TNS (she has a fellowship with WPP, the world’s largest communications services group). She spends her free time exploring the city’s past which she vividly evokes in her debut novel, Electric Shadows of Shanghai. Electric Shadows of Shanghai creates a fascinating world populated by British diplomats and wives, American journalists, glamorous stars of the Chinese silent film and Russian taxi-dancers turned ballerinas. It poignantly captures how the dreams and desires of these expat and Chinese inhabitants of the city lead them to interact and clash. Clare and I share a publisher, Impress Books, but have never met. Let’s meet her now and hear her views on location, locution. 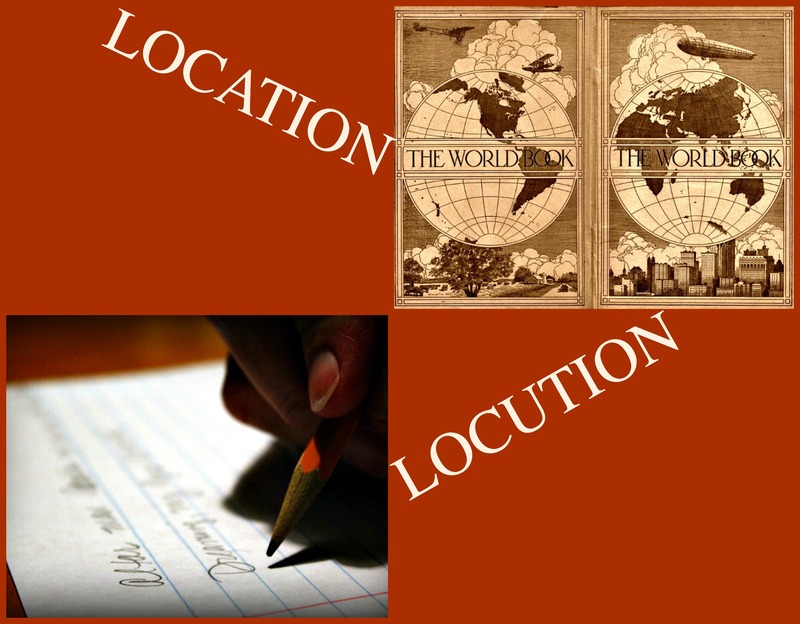 Welcome, Clare, to Location, Locution, and thank you for agreeing to be my very first guest. Can I ask which came first, story or location? Location without a doubt. I’ve always been fascinated by China, and most of my short fiction writing is set there. But time also plays a part. As you pointed out in your introduction, my novel Electric Shadows of Shanghai is set in the 1930s, a particularly rich era in Shanghai’s history when as a free port it attracted people from all over the world: Jews fleeing Nazi Germany, White Russians escaping the Bolsheviks and plenty of adventurers looking to make their fortune. The story couldn’t have taken place anywhere but Shanghai in the 1930s. Plots are built on conflict and the tensions that existed then helped shaped the story. China was pushing towards modernity, women were bobbing their hair and young men were returning from overseas educations to promote foreign ideas of democracy but these advances were overshadowed by political tensions, the constant threat of Japan and inequalities between rich and poor. First, I have to get a hold on the atmosphere myself. With Shanghai it’s easy: I live here. Evoking the past is harder, but not impossible. The city is full of Art Deco haunts almost unchanged from their glory days in the 1930s, where for a moment you can feel like you’ve travelled in time. I also think that despite all the changes that have taken place over the last century, Shanghai probably feels very much as it did in the 1930s. A place of possibility, drawing eclectic characters from around the world. The seedy underbelly that existed then is still here now. And the clash of high and low living—cocktail bars next to noodle stalls—is still very much present. But I don’t think you should bore the reader with lengthy descriptions of place. It’s about building on any impressions they may already have of a place by weaving in details to the narrative and letting their imaginations do the rest. No reader is a blank slate and I’ve found that even people who have never been to Shanghai nor given the place much thought have an impression of exoticism and glamour when they hear “Shanghai”. It’s my job to build on that, encouraging certain ideas and tearing down others. Tapping into senses other than sight is vital. Descriptions of buildings and landscapes get dull very quickly. I find it’s the snippets of sound, the wafts of smell, that really build a place in the mind. But the people are perhaps most indicative of a place. Not in terms of what it looks like on a map but in how it shapes people. When I look at the characters in my novel many of them are striving, determined to build something in the city, while others are more dissolute, giving in to the sleaze and losing themselves to the night. Each type—and no character is completely clear-cut—reflects their surroundings in their actions. Over a million women in Shanghai and one in thirteen a prostitute. Another myth of the Orient, Will thought, when Rollo told him a couple of hours earlier. But he recalled it now on the threshold of the Paradise, its neon promise reflected on the cobbles of the alleyway darkening in milky dusk. They were right on the edge of the International Settlement now, where the sombre society of the Bund gave way to the sweet tang of the night that made the two syllables of Shanghai so thrilling to the foreign ear. I wanted to plunge the reader into Old Shanghai right away, and I tried to do this both through literal description and by inviting the reader to recall their own impressions of Shanghai (“so thrilling to the foreign ear”). You live in Shanghai and describe yourself as a Chinese history geek. IN general, how well do you think you need to know a place before using it as a setting? I have written about places I’ve never visited and I don’t think writers should rule somewhere out just because they aren’t personally familiar with it. Writing is about imagination, after all. It depends on how key place is to the story, how much knowing where this street meets that one impacts on the plot. You run the risk of offending people if you misrepresent a place and doubly so if you’ve never even been there. But if it’s the mood of the place that matters—the bustle of New York in the 1980s, the bleakness of the North Korean countryside—rather than the reality of it, I don’t think we should be precious about places. But research is always key. If you’re not going to research a place, why use it? Just invent a place instead. One of my favourite authors is Janice Y K Lee, who has written two novels about Hong Kong. Both are incredibly evocative. She captures the place on every level: the physical look and feel of it and the society that populates the islands. She very gently unravels all the tensions of the place and I love that in her latest book, The Expatriates, she does that through the stories of various women living there. I’m also a big fan of Chimamanda Ngozi Adichie. I know absolutely nothing about Nigeria but she brings it to life with every word. She makes the reader feel totally comfortable, unveiling place and history as part of an engaging story. I love that she weaves the stories of everyday people into huge historical events. She humanises history. And like Lee, place is key to her novels. They couldn’t take place anywhere else. Readers, any questions for Clare? Please leave them in the comments below. And if you would like to discover more about Clare, you can visit her author site. You can also follow her on twitter. À bientôt! Till next time when my guest will be an English novelist living part-time in France and writing about Portugal in her new novel. STAY TUNED for next week’s fab post! Photo credits: Top of page: (LOCATION ROW) Author photo and book cover (supplied); The World Book (1920), by Eric Fischer via Flickr (CC BY 2.0). (LOCUTION ROW) “Writing? Yeah.” by Caleb Roenigk via Flickr (CC BY 2.0); 24 Shanghai street scene, by mksfca via Flickr (CC BY-NC-ND 2.0); Shanghai street scenes 1, by Wolfgang Staudt via Flickr (CC BY-NC-ND 2.0).